Saleem Retail & Wholesale was founded in 2008 by Mohammad Saleem (aka Saleem). Saleem came to Canada from Pakistan in 1996. His first business in Canada was a convenience store called “The Friendly Smoke” which also sold groceries and meat. Then in 2001 he expanded his business and renamed it to “Friendly Supermarket”. 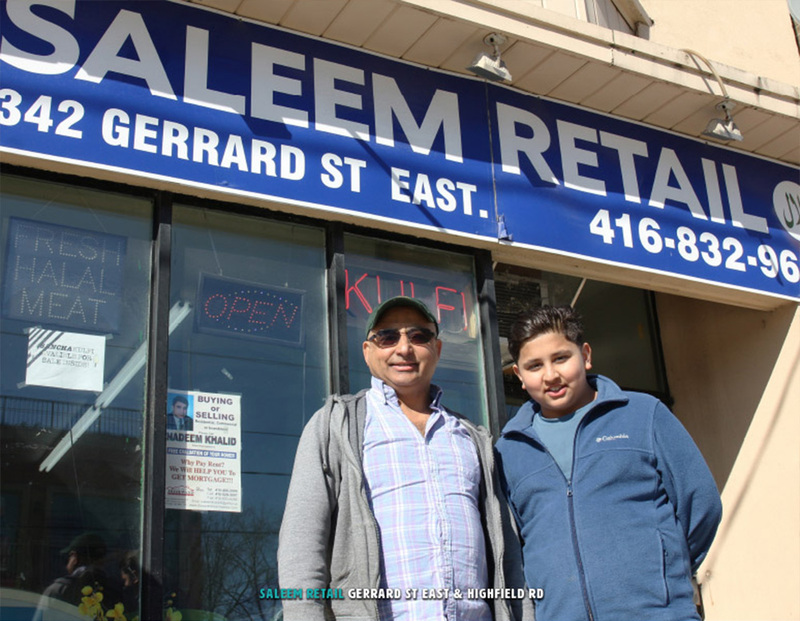 In 2008 Saleem had a chance to buy a building on Gerrard Street East and moved into his current location, renaming his business “Saleem Retail & Wholesale”. Saleem’s businesses have served as a gathering place for the local Pakistani businessmen of the area. In 2006, in order to lobby on behalf of the Pakistani business community which primarily existed west of the local BIA (GIBBIA) boundaries at the time, Saleem formed and became Chairman of the United Gerrard Businessmen’s Association. GIBBIA expanded Westward to Glenside Ave and Eastward to Coxwell Ave in 2012 to include more of the South Asian business community in the Gerrard India Bazaar.